Ryobi’s universal woodworking centre is a total benchtop and portable tool system. Quick action machine mounts snap into place in seconds for the attachment of various benchtop tools such as a mitre saw, table saw, drill press, band saw and thickness planer. 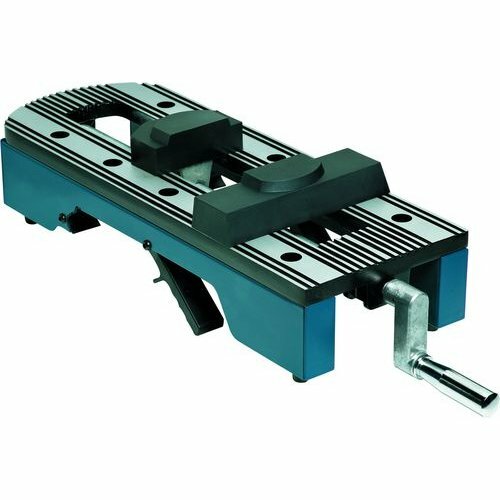 Heavy-duty aluminium die cast work vice for portable tool applications. The router table attaches in seconds for various routing and moulding applications.